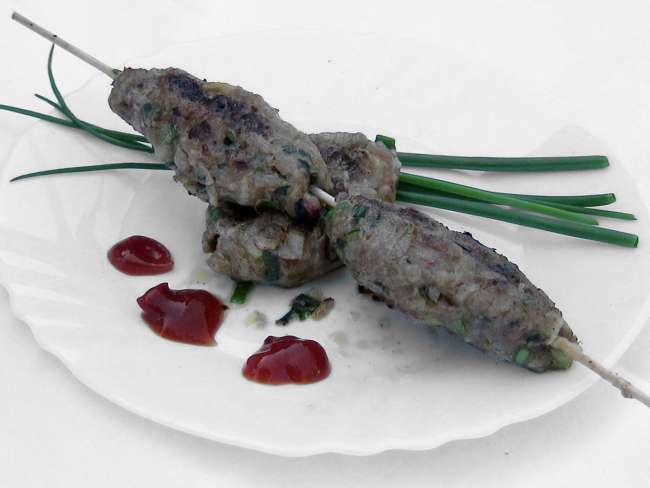 Serve with bread or baked potatoes. Trim the onion, wash and finely cut into the rings. 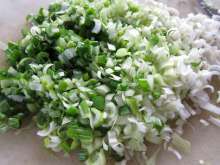 Remove the rootlet and green parts from the radishes, wash and coarsely grate it. 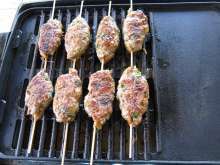 If you prepare shashlik outdoors, you can add nettle also. 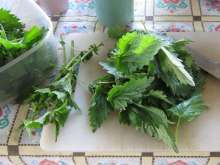 Pick young nettle, wash and pick leaves off the stem. Finely chop it. 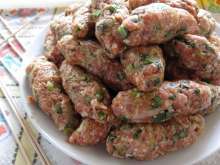 Add prepared onion, radish, nettle, oil, salt, ground red paprika, ginger, black pepper and trimmed pressed garlic into the minced meat. Blend all together well. Create cylinders about 7cm long and 2cm thick. Prickle two cylinders on the skewer and slightly push down. 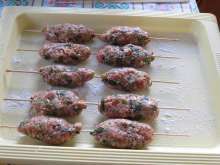 Broil on all sides until golden-brown for 10-15 minutes.